A first-of-its-kind study tracks the migration of the rare Caspian seal to show how pollution and overfishing are taking a toll on the marine mammal. oil & gas drilling threatens EVERYTHING! 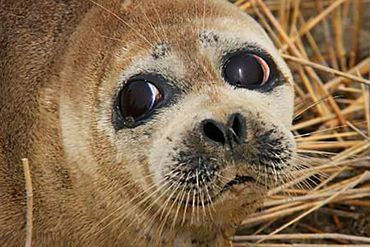 Thank you for speaking out to help seals. Thank you for speaking out to help seals. Your support will help save animal lives. Signed > Thank you for speaking out to help seals. We're sorry, but we were unable to process your request. Please try again at a later time. Will keep trying. Thanks Linda. Signed and noted. Thanks, Linda. Noted and signed. What we humans do to this earth and its animals is beyond unforgivable. Thank you! Thank you for speaking out to help seals. Your support will help save animal lives.